The Development Impact Lab (DIL) aims to integrate insights from development economics and allied fields with world-class science, engineering, and social science research, to create more effective approaches to “technology for development. The Development Impact Lab (DIL) is a global consortium of research institutes, non-governmental organizations (NGOs), and industry partners committed to advancing international development through science and technology innovations. With the support of U.S. Agency for International Development (USAID) and in collaboration with the U.S. Global Development Lab, DIL is formalizing the application of academic science and engineering disciplines to social and economic development. This approach is embodied in a new field called Development Engineering. This system of inquiry and practice combines engineering and the natural sciences with insights from economics and the social sciences to generate sustainable, technology-based solutions to development challenges. The Lab is headquartered at the University of California (UC) Berkeley, where it draws upon the innovative work and leadership of the Blum Center for Developing Economies and the Center for Effective Global Action (CEGA). It is closely allied with the Lawrence Berkeley National Laboratory, an unparalleled scientific research facility supported by the U.S. Department of Energy. Other core university affiliates include UC San Diego, IIT Bombay, and Makerere University. The DIL consortium is part of a constellation of seven Development Labs that comprise USAID’s Higher Education Solutions Network (HESN). These unique research centers harness the intellectual power of great American and international academic institutions and catalyze the development and application of new science, technology, and engineering approaches and tools to solve some of the world’s most challenging development problems. Founded in 1868 as the flagship campus of the University of California, UC Berkeley is a public institution with a long history of academic excellence, groundbreaking research, and social and political activism. An internationally renowned research and teaching university, Berkeley encourages interdisciplinary, well-rounded education in its undergraduate students, believing that a diverse and broadly inquisitive learning experience strengthens and promotes creativity and curiosity. Over 35,000 students attend classes in 14 colleges and schools, offering 350 degree programs. Set the pace with your colleagues and community, and set the bar for giving back. Chemistry - Includes departments of Chemistry and Chemical Engineering. Education - Master’s and doctoral programs, teacher preparation, undergraduate minor program and leadership training. Engineering - Includes departments of Bioengineering; Civil & Environmental Engineering; Electrical Engineering & Computer Sciences; Industrial Engineering & Operations Research; Materials Science & Engineering; Mechanical Engineering; and Nuclear Engineering. Environmental Design - Includes departments of Architecture; Landscape Architecture; and City and Regional Planning. Haas School of Business - Undergraduate degrees, MBA programs and executive education. 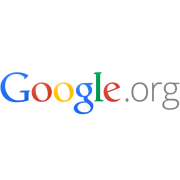 Information - Graduate programs in information management systems and data science. Journalism - Two-year immersive Master of Journalism program. Law - Offers J.D. and J.S.D. programs, and the first U.S. law school to offer M.A. and Ph.D. degrees in jurisprudence and social policy. 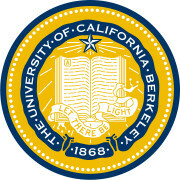 Letters & Science - Berkeley’s largest college includes more than 60 departments in the biological sciences, arts and humanities, physical sciences, and social sciences. Natural Resources - Includes departments of Agricultural and Resource Economics; Environmental Science, Policy, and Management; Nutritional Science; and Plant and Microbial Biology. Optometry - Professional program for optometry. Public Health - Master’s and doctoral programs in a wide range of public health disciplines. Richard and Rhoda Goldman School of Public Policy Master’s, doctoral and an undergraduate minor program in public policy. Social Welfare - Offering master’s, concurrent master’s, doctoral and credential programs. Facilitates relations between University researchers and private industry for the benefit of society. Administrative support for research and compliance across the campus is carried out by several subsidiary offices.